I contribute to public debates about cities, housing, foreign investment, urban planning and infrastructure provision. I’ve featured on major local, national and international news outlets, including: 7 News; SBS World NEWS; 3NEWS TV New Zealand; The Guardian; Australian Financial Review; Sydney Morning Herald; The Age; The Conversation; ABC Radio National and ABC Local Radio; 3AW Radio Melbourne; The Drum; and more. Interviewed (Sydney) – SBS World News about the federal budget and housing affordability. Opinion Editorial The Conversation – Australia’s foreign real estate investment boom looks to be over. Here are five things we learned on declining foreign real estate investment. Opinion Editorial The Conversation – Being a property investor or house hunter makes Sydneysiders more supportive of foreign investment presents the findings from a survey of about housing status and Sydneysiders about their views on foreign real estate investment. 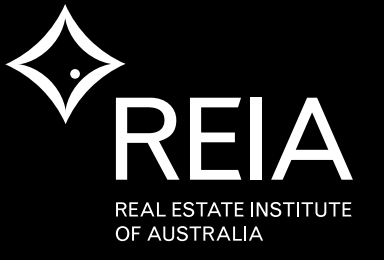 Opinion Editorial The Conversation – Sydneysiders blame foreign investors for high housing prices – survey presents the findings from a survey of Sydneysiders about their views on foreign real estate investment. Opinion Editorial The Conversation – Explainer: the financialisation of housing and what can be done about it speaks to the UN Special Rapporteur on the Right to Housing arguing that treating the house as a repository for capital – rather than a place for habitation – is a human rights issue. Opinion Editorial The Conversation – Changes To Off-the-plan Foreign Buyers Rely On A Broken Supply Argument argues the current foreign investment rules are a blunt set of regulatory tools, held captive to the housing supply and global competitiveness debates. Opinion Editorial The Conversation – Great Wall Of Xenophobia Makes For Simplistic Foreign Investment Debate Provides An Informed Commentary On Chinese Real Estate Investment And The Global Real Estate Industry. Opinion Editorial The Conversation – An Uneasy Marriage: Planners, Public And The Market Struggle To Work Well Together Explains Tensions Between The Practices Of Government Planners, The Participatory Frameworks Of Planning Departments And The Private Sector’sIncreasing Role In Shaping Australian Cities. 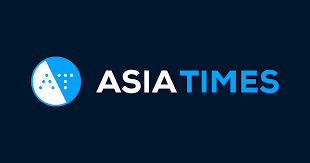 Opinion Editorial Domain – Beijing’s Mousetribe: Affordable Housing In Mao’s Undergound Air-Raid Bunkers Provides A Critical Analysis Of Affordable Housing In Beijing, China. Opinion Editorial Domain – New Cabinet, A New Approach To Housing: Academics About Housing Needing To Be A Key Component Of The New Minister For Cities And The Built Environment Portfolio. Interviewed ABC RN, Drive – Facebook to build housing complex for employees on the tech industry building cities. Interviewed ABC RN, Blue Print for Living – Design, policy and stigma: Lessons from Australia’s golden age of public housing about Australia’s golden age of public housing. Interviewed ABC Local – ABC 702 Focus About Declining Foreign Real Estate Investment in Australia. Interviewed 3AW Radio – 3AW Radio In Melbourne About The New Foreign Investment Fee; Penalties Miss The Point Of The 2014 Parliamentary Inquiry. Interviewed 2SER Radio – 2SER Radio Should there be a Tax on Vacant Houses? Interviewed 2SER Radio – 2SER Radio About The Television Program Housos, Public Housing And Stigma. 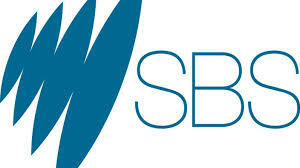 Interviewed SBS – Should we follow NZ and ban foreign investors buying Australian homes? Interviewed SBS – Housing affordability: Potential home buyers hoping budget offers relief argues that the government can moderate the housing affordability problem, or they can compound the housing affordability problem through the budget. Interviewed Financial Review – Not Asian Investors, To Blame For High Property Prices About Chinese Real Estate Investment And The Global Real Estate Industry. Interviewed The Age – Chinese Having Huge Influence on Property Prices As Year Of The Sheep Dawns Chinese Real Estate Investment And The Global Real Estate Industry (and in the Sydney Morning Herald; Domain; Brisbane Times; WA Today). Interviewed La Tercera (Chile) Sydney will be divided into three to save on travel times about Urban Planning in Sydney. Interviewed The Strait Times – Australia slaps tax on ‘ghost homes’ on the survey of Sydneysiders views about foreign investment. Interviewed Domain – With savings aplenty, why don’t these millennials want to buy a house argues millennials’ might not commit to a large mortgage because it can place them under huge emotional and financial pressure. Interviewed Domain – Developers win the battle against Sydney NIMBYs argues that NIMBYism isn’t disappearing it is evolving. InterviewedDaily Telegraph – Foreign investment fears as Chinese cashing in on weak Australian dollar About Putting A Dollar Figure On The Intersection Of China’s Restrictive Domestic Housing Policies And Australia’s Pro-foreign Investment Policies. Interviewed Courier Mail – Sydney’s fear of foreign housing investors about a survey of Sydneysiders’ views about foreign investment. Interviewed Nine News – Sydney’s fear of foreign housing investors about a survey of Sydneysiders’ views about foreign investment. 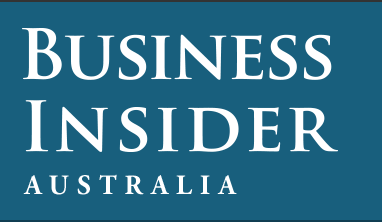 Interviewed Bloomberg – Australia Has a Taxing Problem When It Comes to Ghost Homes on the survey of Sydneysiders views about foreign investment. Interview Daily Times – No foreigners, mate: Australia baulks at Chinese home-buying on the survey of Sydneysiders views about foreign investment. Interviewed Herald Sun – Sydney’s fear of foreign housing investors on the survey of Sydneysiders views about foreign investment. Interviewed The Standard – Series Finally Screens: Audience Swings From Being From Awesome To Embarrassing About The Television Program Housos, Public Housing And Stigma. Interviewed Hills News – UWS Researcher Says Housos Film Has Lost The Plot About The Television Program Housos, Public Housing And Stigma. 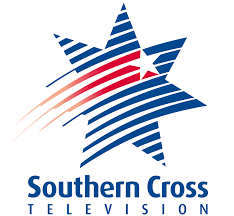 Interviewed The Champion – TV show could ‘reinforce stigma’ About The Television Program Housos, Public Housing And Stigma.